Together the Libraries contain more than 4.2 million volumes and provide round-the-clock access to a rich collection of electronic resources, including more than 154,000 print and e-journals, and more than 1.6 million e-books. 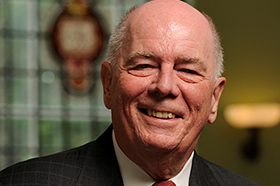 Dean Winston Tabb oversees library services in the five Sheridan Libraries, coordinates library services and directs two historic house museums. 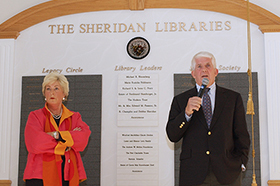 Sheridan Libraries is named after Champ and Debbie Sheridan, whose dedication and generosity transformed the libraries at Johns Hopkins University. 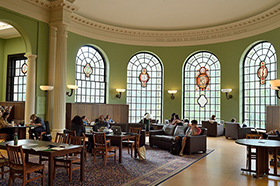 The five Sheridan Libraries provide the major research library resources for Johns Hopkins University. 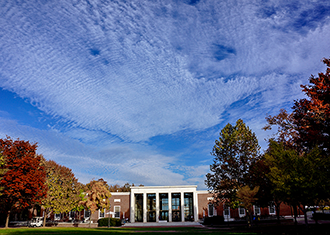 The Milton S. Eisenhower Library is the university’s principal research library and the largest in the Sheridan Libraries network. The library opened in 1964 and is one of the most heavily used buildings on Homewood campus. 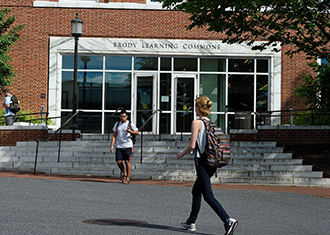 The Brody Learning Commons connects to the Eisenhower Library and includes a large quiet reading room, 16 group study rooms, teaching and seminar rooms, and a café. 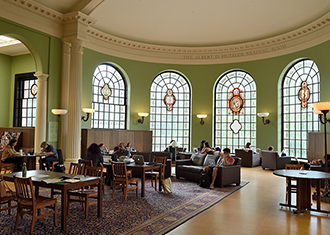 The Hutzler Reading Room (The HUT) in Gilman Hall features a high ceiling and 19 beautiful stained-glass windows illustrated with the marks of Renaissance printers. 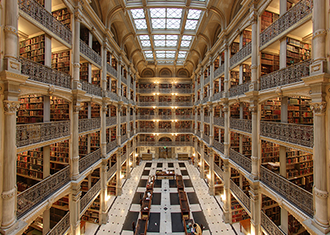 The George Peabody Library in Mount Vernon is a special collections library and contains more than 300,000 volumes. 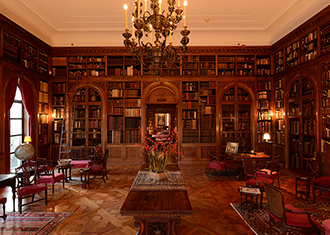 The collection is non-circulating, and the library is open to the public.